CaliberMind is an intelligent account lifecycle management solution that seamlessly integrates with your core CRM & MAP systems to bring together all the lead and account data into one place for matching, routing, scoring and analytics - so revenue teams can target accounts, act, and report on account-based data. "CaliberMind - ABM and Data Warehousing All in One"
CaliberMind allows you to apply account-based marketing principles to real-world problems and develop actionable marketing insights that will fuel your marketing and sales funnel and drive revenue growth. The additional benefit of being a multi-sourced data warehouse leaves open the potential for Customer Lifecycle analytics. While not a dislike, CaliberMind is a young product that is growing rapidly, so as with any young product there are current reporting gaps but the team is very responsive, engaging, and willing to entertain ideas from its customer base that is helping to mature the product quickly. 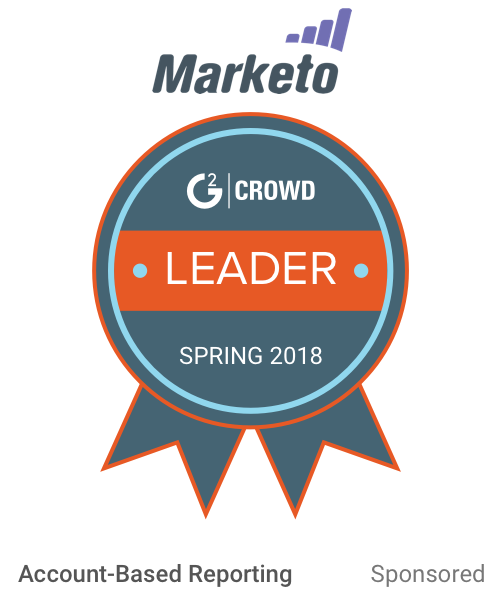 We were on a different solution that forced the usage of campaigns within Salesforce and forced our marketing view to be lead, contact, and campaign based. CaliberMind's Account Based Marketing approach has allowed us to begin to develop both an accurate holistic view of our customers from a marketing perspective and increase the accuracy of our attribution, thus gaining better insights into how our spend is being used and how to increase our yields. "The best of both worlds, ABM and Marketing attribution meet martech stack and data lakes"
I have been using Caliber Mind for a few month and I cannot imagine doing my job without it. Caliber Mind is the glue that keeps all data together across a multitude of systems in the stack. I connected SFDC, Marketo, Google Analytics, Google Adwords, Google Analytics and even some Google sheets. Not really a dislike but a word of warning. While this is a younger product, it is for mature marketers that need to tie marketing to revenue. The customer success team is very supportive and they will help you during the set up. This is a tool for Marketing Ops and there should be a technical resource assigned to own the platform and that person should be able to use and access the stack (CRM, Marketing Automation, Google Analytics and any other platforms that need to be integrated. What Marketing Account Intelligence solution do you use? "Quick and easy setup - Configurable enrichment & powerful reporting capabilities"
I had a great experience with the CaliberMind team and how they onboarded my company. Very thorough and very good turn around times on all my inquiries. I was able to blend multiple data enrichment sources together and map to my CRM as I needed it set for my sales workflows. I loved the custom reporting capability which helped me answer lead and campaign source attribution that I just couldn't get in SalesForce. Product is improving at a rapid pace however there are still some technical skills in order to get the reporting setup. Good news- when I got stuck, they were very responsive to jump in and help. Contact, Lead and Account enrichment. Lead source and UTM campaign attribution. Adapt provides access to millions of contact and business information. Business Owners, Sales & Marketing professionals use Adapt to get accurate and updated contact information to grow their business. Leadspace B2B Customer Data Platform enables companies to increase pipeline, better engage customers and drive faster growth, by allowing marketers to find and know their ideal customers. Leadiro is an Account Based Marketing and lead generation tool for sales professionals, marketers and recruiters. Leadiro provides accurate executive B2B contact data that gets results. We bridge the gap between marketing and sales teams by providing a data-driven layer of intelligence that adds predictive value to your CRM and marketing automation systems. Lattice delivers data-driven business applications that help companies market and sell more intelligently. Data intelligence software to find and convert your best B2B prospects. Powered by largest, most accurate B2B data source — The Network of Record™. Intelligent Prospecting Platform for outbound sales and inbound lead enrichment. Bombora is an aggregated source of behavioral Intent Data for B2B, creating a data cooperative of premium B2B Media Companies. The company's Content Consumption Monitoring technology fuels this Intent Data Cooperative, which empowers marketers to more efficiently monetize their businesses, delivering data for use cases throughout the sales and marketing funnel. * We monitor all CaliberMind reviews to prevent fraudulent reviews and keep review quality high. We do not post reviews by company employees or direct competitors. Validated reviews require the user to submit a screenshot of the product containing their user ID, in order to verify a user is an actual user of the product. Hi there! Are you looking to implement a solution like CaliberMind?